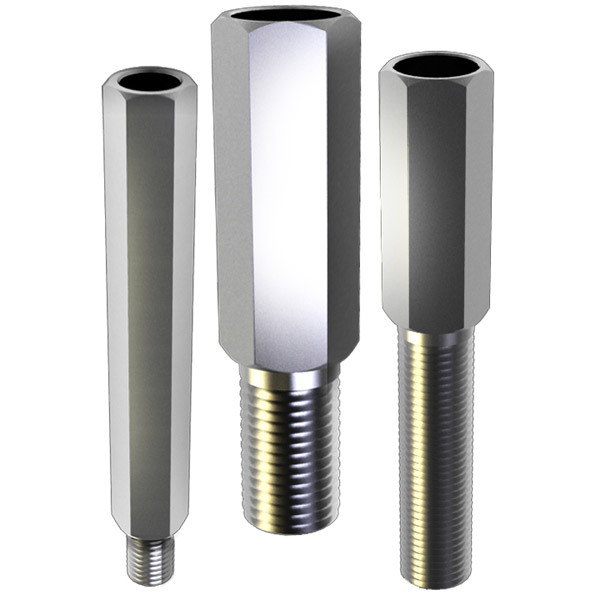 Western Saw Inc.'s stocks a wide variety of high quality extensions and adapters from 5/8"-11 up to 12" long, 1-1/4"-7 up to 24" long and various adapters to connect to different sizes threaded hubs. 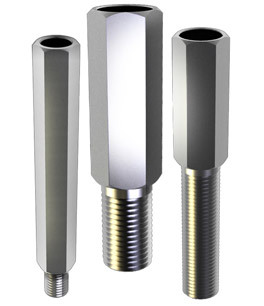 Extensions & adapters are manufactured from custom proprietary steel composition. State-of-the-art tube production facility and process protocol enables concentricity. Additionally, custom tubes, adapters, and extensions in various sizes and types are available. Reverse engineering services are available. Small or long production runs are accepted with short lead times and on-time delivery.